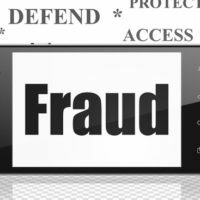 Fraud crimes take many forms, as in the recent case of a Wilmington, Delaware man who scammed several tech companies out of millions of dollars of high-end computer equipment. According to Delaware Online, the scheme dates back to April 2016, when the man would obtain legitimate serial numbers from expensive computer hardware he did not own. He and other co-conspirators then submitted warranty claims to companies like Cisco Systems and Microsoft, asserting that the equipment was defective and requesting replacement items. Once he received the goods, the man sold them to local technology dealers. In total, the man received more than 150 computer hardware products bearing a value of $2.3 million. He faces a number of charges related to fraud and computer crimes under Delaware law, which could lead to extensive prison time and fines in his case. Engage in other acts identified by statute. The state of mind required for a prosecuting attorney to obtain a conviction varies. Knowing, intentional, reckless, or negligent activities may meet the intent standard depending on the crime. However, the attempt to engage in computer crimes may not be charged as a crime under some circumstances. It is a Class A Misdemeanor to engage in the computer crimes listed in the statute if the value of the goods affected is $500 or less. You may be charged with a Class G Felony where the damages are greater than $500, but less than $1,000. Your sentence may include jail time up to two years. It is a Class F Felony to engage in computer crimes ranging from $1,000 to $5,000, so your maximum prison sentence would be three years. Where the damages are greater than $5,000, the crime is a Class E Felony, punishable by up to five years’ incarceration. You face Class D Felony charges if the damages are in excess of $10,000. A judge may issue a maximum jail sentence of eight years. Also, note that it is a Felony computer crime where the offenses involve a risk of injury to a person. If you have been arrested for computer crimes or fraud through use of a computer, you need an experienced attorney to fight for your rights. There are complex evidentiary issues, and a prosecuting attorney can use your own computer against you to prove the case. For more information or to schedule a free consultation regarding your defense options, please contact Attorney Michael W. Modica in Wilmington, DE.